Christmas is around the corner & my favorite part of the Christmas is Christmas Tree. We can decorate it with tons of ornaments & lights. But what about other rooms, as we all decorate only one room with our Christmas Tree. So I thought why don't I make my own small Christmas Tree for the other rooms too. I came up with this beautiful Christmas Tree which I made with my left over ornaments as you all know Reuse & Recycle is my favorite job. 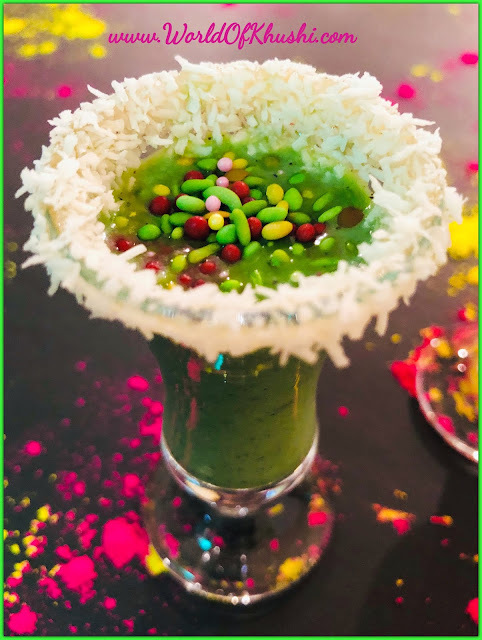 😉 It's very easy to make & takes only half an hour, And of-course you can totally customize it according to your choice. 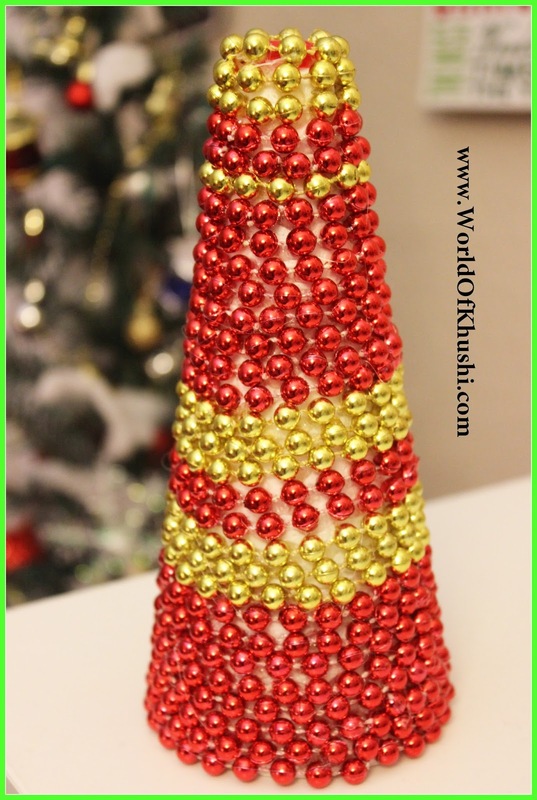 I hope you will like this cute little Beaded Christmas Tree, so without any further delay lets jump into the tutorial!! Step 1. With the help of Glue Gun, start sticking the necklace with thermocol stand from the bottom side. Keep rolling the necklace to the upper side. Step 2. Once you get desired covering with the red one, start sticking the golden one. Step 3. Keep doing this till you cover the entire thermocol. Step 4. At the top stick the stone so that you will not see any thermacol. Your beautiful Beaded Christmas Tree is ready. You can make many of them & customize it according to your room. Enjoy this Christmas with your own Christmas Trees. Do try and share your feedback with us, don't forget to send your pictures too. 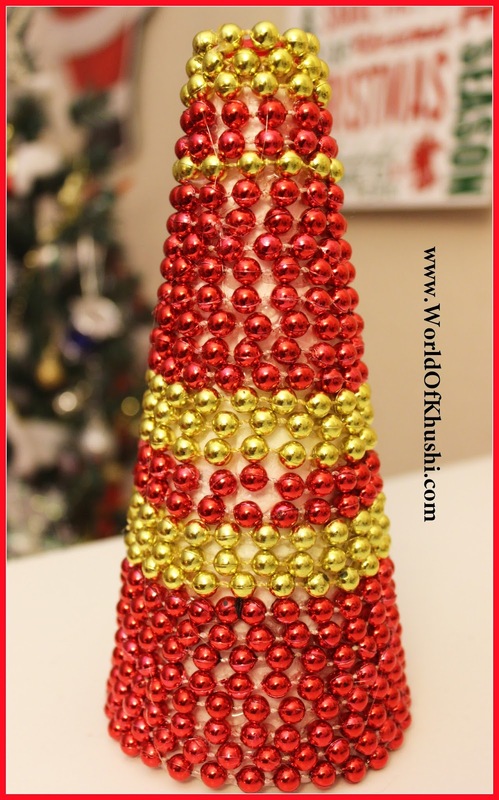 For more such easy DIYs stay tuned with Khushi's World.